My sister, Geri, lives in New Jersey. Though she was once a Florida girl, like me, she’s grown accustomed to the cold winters. She often tells me how “warm” it gets once it hits the 40˚F. That is so cold! Brittany Ungvarsky took pity on those of us with “thin” skin and created a Fall DIY that is sure to warm us right up. 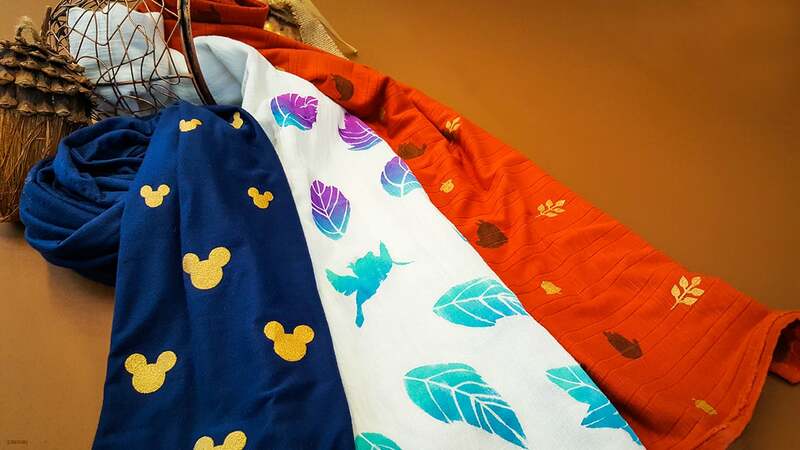 She masterfully shows stamp and stencil techniques to add a bit of Disney magic to your very own scarf. Download the stamps and stencils template and the DIY instructions and get your craft on with this fun project! Wow, super cute idea! Thanks for sharing! These are adorable! Will definitely have to try this DIY out. Thanks Disney!